Cayman Music School prepares students for any music exams up to Diploma level and beyond. Our students have successfully passed all grades and Diploma levels music examinations up to and including LTCL with Distinction. Trinity College London practical graded exams are numbered from Initial to 8 in increasing order of difficulty. Candidates perform three (or sometimes four) pieces, and technical work featuring scales and arpeggios and exercises. They also choose two supporting tests from a selection including sight reading, aural, musical knowledge and improvising. Cayman Music School offers free theory lessons for students preparing for exams. Theory graded written exams are numbered from 1 to 8. Having completed the grades, the student should be well equipped to apply the tools of music to take advantage of a wide variety of further and higher educational and creative opportunities, including progression to Trinity’s written diplomas. Trinity Grade music exams (including Rock & Pop exams) are elligible for United Kingdom Universities’ and Colleges’ Admissions Service (UCAS) points within the UCAS tariff system, which is open to any student applying for a course of study at a UK university or other higher education institution. These exams will contribute towards a student’s ‘score’ of UCAS points when they apply for entry to higher education. 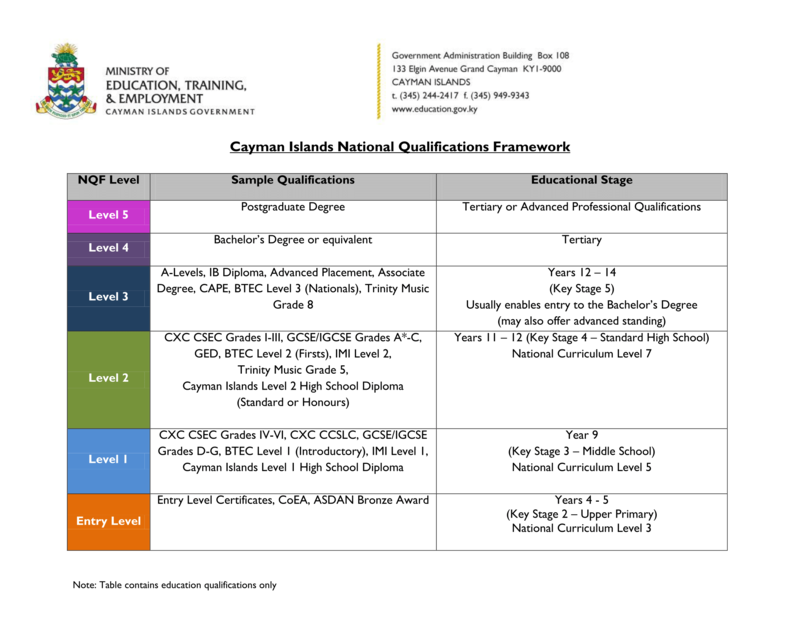 Various arrangements are in place with government educational authorities worldwide (see below the Qualification framework in Cayman Islands). The United Kingdom Universities’ and Colleges’ Admissions Service (UCAS) has confirmed the inclusion of Trinity College London grade music examinations (Grades 6-8) within the UCAS tariff system, which is open to any student applying for a course of study at a UK university or other higher education institution. Trinity College London Diplomas are also awarded credit by The Open University towards their degree programmes.